Parenting debate: Should a 9-year-old reporter cover a homicide? Yes, Police Law enforcement, Parents, and Children should learn about the secret of the stars to understand why her subconscious motive, secret, jealous and more. I’d rather see a 9-year-old reporting news than doing drugs or sitting on the sofa all day playing games on a phone. All the news going on in this world, and this is what I wants to report. If you want to read crap like this you can open a gossip magazine in the check out line at your grocery store then this is not for you. One has to be very smart to deal with the power of Astroforensics at work. Brenda Delgado (born June 18, 1982) is wanted for capital murder in Dallas, Texas. On September 2, 2015, a prominent 35 year old dentist was shot to death in the parking garage of her apartment complex. Delgado allegedy orchestrated the murder of hire plot. 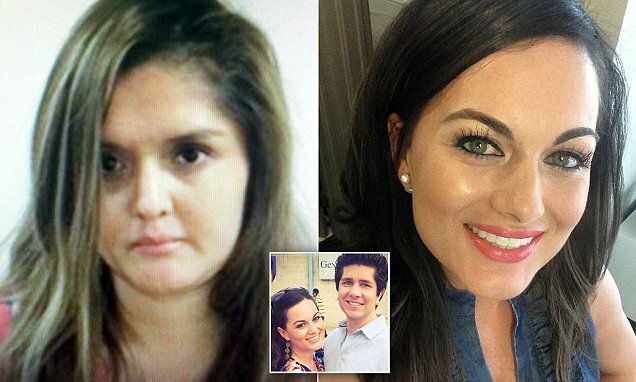 It is believed she was jealous because the victim was dating Delgado’s ex-boyfriend and had recently been introduced to his parents. Sun 26Gem55 (1) Mercury rules Gemini; this planet rules also communication, writing, driving, and also rules fast transportation. She have to do things by two, four or six in her life as Gemini rules duality. That’s why she got two people to involved this and she loaned Cortes a Jeep that belong to one of her friend’s. Delgado also allegedly had her friend Crystal Cortes drive Kristopher Love to the scene of the crime. Both Love and Cortes are in jail on capital murder charges. Moon 14Tau54 (12) (subconscious) Taurus is indeed a possessive sign which can be extremely stubborn. Moon rules emotion response and her subconsciously possessive on his ex boyfriend and never let him go. Mercury 07Gem24 (1) Mercury rules Gemini; this planet rules communication and transportation. She was cunning her friends about loan a Jeep that she need it for errand to meet two suspect to get involved this. Venus 21Tau44 (12) (subconscious) Venus rules the sign of taurus looks for stability and security in a love life. Her subconsciously possessive on his ex boyfriend and never let him go. Mars 07Lib57 (5) (love) Mars rules dangerous and destructive in 5th house of love and romantic. Libra rules marriages, commitments contract etc. Jupiter 00Sco34 (6) (work/health) Jupiter in Scorpio can see what is hidden. Scorpio rules power and destructive force. She was “training” two suspect to get involved this. Saturn 15Lib29 (5) (love) Saturn rules fear, restriction and limitation in 5th house of love and romantic. Libra rules marriages, commitments contract etc. Uranus 01Sag37 (7) (partners) The destructive power of Uranus (sudden release the easy / shocking / earthquake ) can often cause enormous damage in 7th of house marriages, commitments contract etc in the public life! Neptune 25Sag38 (7) ((partners) The deception power of Neptune can often cause chaos and confusion in 7th of house marriages, commitments contract etc. Pluto 24Lib11 (5) (love) Pluto rules power and destructive in 5th house of love and romantic. Libra rules marriages, commitments contract etc. MNNode 14Can16 (2) (money) Cancer rules home, security-conscious and highly value her home life but…..
MSNode 14Cap16 (8) (death) 8th house of secret, death, drama and destructive. She secretly make plans to carry out (an illegal or harmful action). She located in the PLANNING politically oriented sign of Capricorn which happens to be for a ex-boyfriend Ricardo Paniagua his 8th house of death. She manipulated others in her efforts to win her game plan. Los Angeles – Drew Barrymore has confirmed her marriage split. The thrice-married actress revealed she and husband Will Kopelman are in the process of divorcing less than four years after tying the knot and insisted that their daughters, Olive, three, and 23-month-old Frankie, will remain their top priority. Sun 03Pis14 (2) (self esteem/money) Barrymore is an artistic, intuitive, gentle and compassion. Pisces, ruled by Neptune, the planet of escapism and can suffer from addictions more than other signs. She quickly fell into drug and alcohol abuse. After two stints in rehab, she steadied herself and began making successful films again. Currently transit of Universal Pisces Dragon impact upon her Sun Pisces to change (escapism) her life to marriage spilt. Moon 13Can23 (6) (health/work) She need to nurture, support and protect others. Her ex husband Kopelman born with Sun Cancer is a prefect connect / natural companions Barrymore’s Moon’s location as complement each other. Mercury 10Aqu07 (1) (self) Mercury rules mind, Aquarius rules original, different, surprisingly insightful, universal, new age and astrology. She could learn the art and science of relationship synastry chart so she can save her marriage. Why fourth? go figure. Mars 23Cap27 (12)(subconscious) Mars rules aggressive and desire. Capricorn rules goal-oriented, business, and hard work. Drew became increasingly more focused on her business ventures, namely her Flower Beauty cosmetics range and Barrymore Wines, a collaboration with Carmel Road winery. Jupiter 24Pis13 (2) (self esteem/money) Jupiter in Pisces gives her a growth/lucky for film as actress. Barrymore is also a very artistic or musical position and attracts you to art world. Saturn 12Can19 (6) (health) She’s constantly need to be reassured she are loved and needed as family together. Uranus 02Sco21 (10)(career) Uranus rules original thinkers, computer and television. She really like science and occult. Neptune 11Sag41 (11)(friends/wishes) Neptune rules spiritual, dream and escapism. She is a travel urge and his desire to comprehend spiritual issues. Pluto 08Lib47 (9)(higher learning) Barrymore has the gift of compromise and at the same time, her attitude toward relationships if see injustice. MNNode 05Sag49 (11) (friends/wishes) Drew was often traveling, meaning the couple was apart for weeks at a time. MSNode 05Gem49 (5) 5th house rules Leo romantic, love and children. Gemini rules dual life, 2, 4 or 6. She now have two children. Last week Drew Barrymore announced that she’s getting divorced from her third husband, Will Kopelman, after nearly four years of marriage. Drew Barrymore share the same Dragon as Leonardo DiCaprio as Gemini rules dualism, double life or can’t date once in life. Gemini must varies and dating multiple people. BlackMoon 01Pis55 (2) Pisces, ruled by Neptune, the planet of escapism and can suffer from addictions more than other signs. Sun 15Can01 (1) Kopelman born in July are strongly affected by the Moon’s fluctuations, and family matters will always play an important part of their lives. They are classified as the “caretakers” of astrology. Moon 07Leo48 (2) (money) Leo is very emotion response in home area. Leo rules children, love and entertainment. He controlled the money what he spend at home. Mercury 07Leo26 (2)(money) Mercury rules mind processing in proud with style and authority sign of Leo. He can be stubborn. Venus 24Leo44 (2)(money) Venus rules love and romantic. Leo rules children and arts. Kopelman can be demanding of her wife. He love to be courted and have a need to feel special. Mars 13Vir15 (3) (mind) Mars rules dangerous and aggressive in his 3rd house of critical thinking. Virgo rules puritanical, cleaning and prefectism. He can be a bit critical and stubborn that really annoyed Barrymore very much. Jupiter 17Can10 (1) Jupiter rules something bigger than life itself. Cancer rules real estates, home and family. Will was more of a homebody, spending much of his time at the couple’s $8.3 million New York pad while Drew was often traveling, meaning the couple was apart for weeks at a time. Saturn 27Leo53 (2) (money) Saturn rules fear, conservation and responsibility. He worried about her wife. He likes to be in control, and can be a little bossy at times. Uranus 12Sco24 (5) (love) Uranus rules original. Scorpio rules occult and secret. He love to be explore/investigate. Neptune 16Sag12 (6)(work) Kopelman continuously seeks to widen its higher education / traveling horizons. Pluto 13Lib58 (4) Pluto rules power/ manipulative in his personal relationships when he got issues related to home and family life. MNNode 00Lib38 (4) He is a lucky marriage with famous actress Barrymore but why it end up the divorce. It has to do with unlucky Dragon Tail in Aries. BlackMoon 19Can03 (1) highly emotion and highly demanding that lead to possessive behaviour.